There is now a gaming hub, where users can play curated songs under gaming oriented playlists such as "Epic Gaming" and "Power Gaming." Xbox One users can now play games with their favorite tracks playing in the background from Spotify. The Spotify app is now available for installation on the Xbox One in thirty four markets. Users simply have to install the application from the Xbox store, and sign in or create a new account if they do not already have a Spotify account. There is now a gaming hub, where users can play curated songs under gaming oriented playlists such as "Epic Gaming" and "Power Gaming." Mikael Ericsson, product director, platform & partner experience at Spotify says, "Music continues to be essential when creating the ultimate gaming experience." 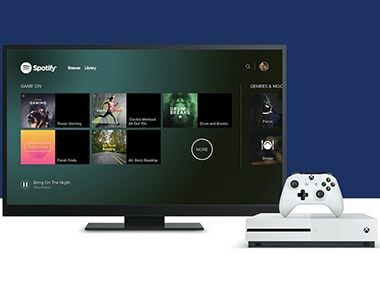 The launch is a response to users requesting Spotify to make the application available on the Xbox. To celebrate the launch there is also a special playlist in the gaming hub, by the Director of Programming for Xbox Live, Major Nelson. Users will also be able to search through the entire catalogue of 30 million tracks, or choose from one of their saved tracks. For users worried about interruptions in the gameplay experience because of having to control Spotify in the background, the playback can be controlled wirelessly from a phone, tablet or desktop using the Spotify Connect application. Spotify recently posted a job ad online (and then swiftly removed it when the info was picked up by various specialist websites) for a product manager, responsible for launching a future connected device" akin to Pebble Watch, Amazon Echo and Snap Spectacles." The exact nature of the device is still a mystery, but the gadget could theoretically allow Spotify to propose its music streaming service in a new and intuitive manner. Logically, it could be some kind of wireless speaker (with voice controls) or connected headphones. In any case, this diversification could be a sign that Spotify is ready to break free from Apple (iOS) and Google (Android) by making its own peripherals for using its service.